With a go-anywhere, do-anything brand of luxury, Land Rover is perfect for your next family adventure. Perfect for the family on the go that desires a higher degree of luxury and capability, used Land Rover models in Carrollton, TX at Certified Autoplex will fit the bill with affordable prices, powerful engines, athletic designs, impressive capabilities and spacious, well-equipped interiors. Visit Certified Autoplex today to get behind the wheel of an affordable, pre-owned luxury model! Families that are drawn to the power and toughness of the Land Rover brand will discover an elite level of luxury when they get behind the wheel. Land Rover models available in five- and seven-passenger configurations will cater to your adventurous spirit. Choose from Range Rover, Range Rover Sport, Range Rover Evoque, Discovery and Discovery Sport models when you visit Certified Autoplex. With affordable prices, low mileage and available lifetime warranties, pre-owned Land Rovers are a fan favorite at Certified Autoplex. When you choose Certified Autoplex, you will enjoy an incredible selection of pre-owned luxury models at affordable prices that include countless years, makes, models and trim levels in the Dallas-Fort Worth area. 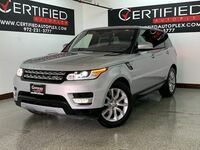 Used Land Rover models in Carrollton, TX promise to be a highlight of that selection and will deliver peerless power, performance, luxury and capability when you take the road less traveled. 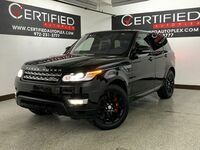 Power and performance are hallmarks of the Land Rover brand that you will discover when you choose Certified Autoplex. With everything from fuel-efficient and athletic 2.0-liter turbocharged four-cylinder engines to world-class 3.0-liter supercharged V-6 powertrains and hard-working diesel engines, Land Rover models will manufacture more than their fair share of power and thrills. When you pair hearty power cores with lightweight, high-strength aluminum framework, capable four-wheel drive systems, the Terrain Response® system and more, Land Rover models are capable of limitless excitement. Families who hit the trail in a pre-owned Land Rover will enjoy unrivaled luxury and technology at every turn. Highlight features of Land Rover models include an adaptive air suspension, Terrain Response 4WD, premium leather interior, a hands-free power liftgate, advanced safety systems, automatic climate control, keyless entry and ignition, heated front seats, a heated steering wheel and a heated windshield. If technology and entertainment are at the top of your list, Land Rover models employ a next-generation InControl® Touch Pro™ infotainment system with a touchscreen display and a Meridian sound system.